Dwejra Tower is situated just off the road leading to the small enclosed bay at Dwejra in Gozo, known as the ‘inland sea’. It was completed in 1652 and periodically used by British forces up to the second World War when it was used as an observation post. 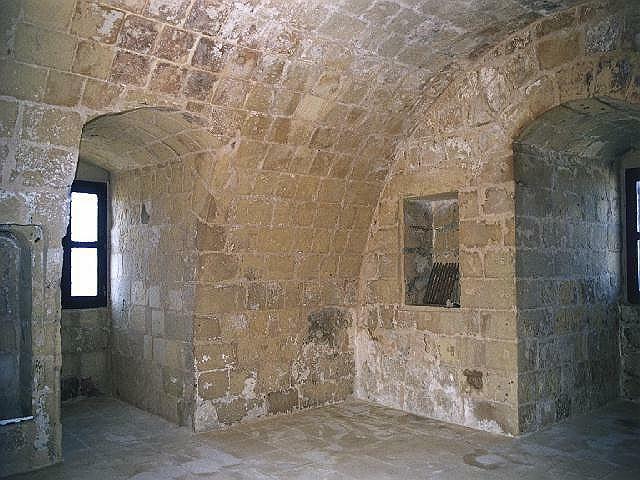 It was completed in 1652 during the time of Grand Master Jean Paul Lascaris Castellar and funded by the Universita’ of Gozo. A Capo Mastro or Castellano was in charge of the Tower and raised money to cover expenses by producing salt from the salt pans in front of the Tower. In 1744 Grand Master Pinto had the sides of nearby Fungus Rock, home of the fabled fungus that had special medicinal powers, smoothed over to make access more difficult. The Tower was still in use during the eighteenth century when it was equipped with three 6-pounder guns. 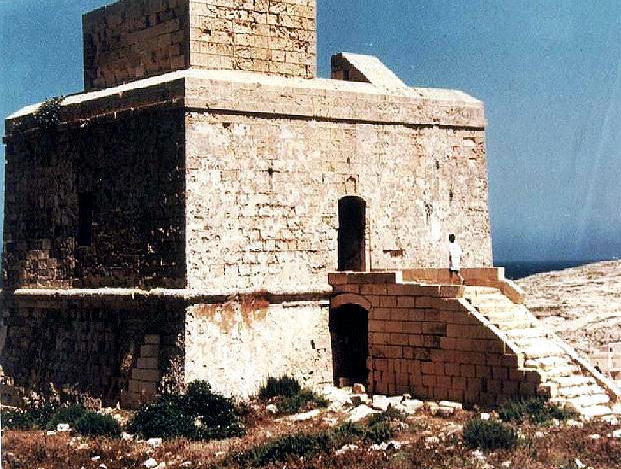 It was manned by the Royal Malta Fencible Artillery between 1839 and 1873 but then abandoned. 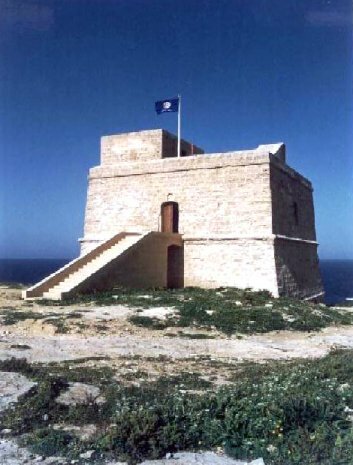 During the summer of 1914 Maltese troops from the King’s Own Malta Regiment and the Royal Malta Artillery were dispatched to the coastal watch towers and Dwejra Tower was manned by No 3 Company with two, later four, 12-pounder guns. During the Second World War the Tower was used as an Observation Post. One recorded incident was the rescue of a Royal Air Force pilot, whose Spitfire had crashed in Dwejra Bay in 1942, by Captain Frank Debono and Carmelo Zahra of Victoria. In 1956 the Tower was leased to Gerald de Trafford for a period of fifty years. It was passed on loan to Din l-Art Helwa who commenced restoration work in 1997, which was completed two years later. A considerable amount of stonework had to be replaced on the outside and flagstones laid inside.